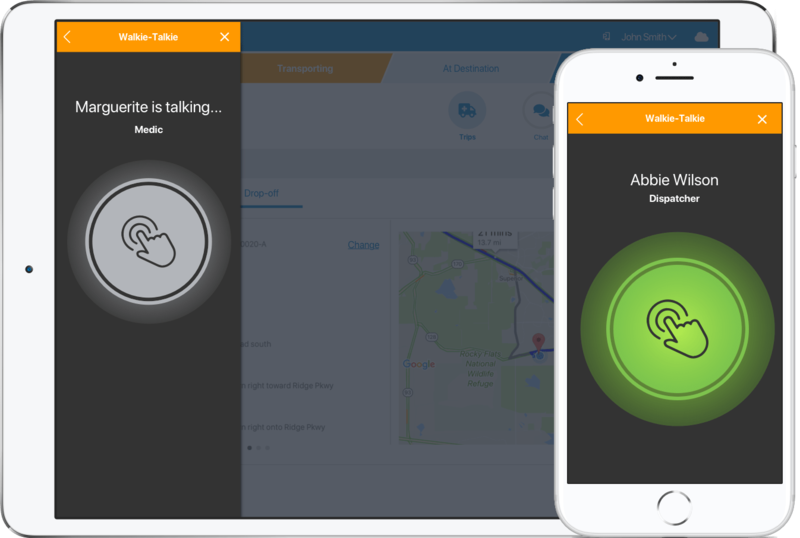 Provide a walkie talkie feature in a mobile navigation app for EMS companies to reduce radio chatter and the number of technology pieces medics and dispatchers need to use. The feature was not going anywhere until we established clear user needs, detailed design flows, and UI design. The design had to cover not only the happy paths, but also error and edge cases, since the nature of the feature meant the user had to understand completely how the system was working at all times. I began by going back to the needs I’d discovered while I had travelled to multiple locations across the country talking to medic agencies. While doing contextual inquiries it was discovered that reducing the ways medics communicate was a significant need. I then had in-depth discussions with the Product Manager and Product Owner to understand how they were approaching the feature from a business point of view. Finally, I had in-depth technical discussions with my lead developers to understand the technical landscape I’d be designing within. With the re-written stories and designs each story could directly point to, the development team was able to get back on track and gain development momentum. I maintained a close working relationship, answering questions and updating the design if needed, as the feature was developed. The walkie-talkie feature was released with the mobile app available for iOS and Android devices. 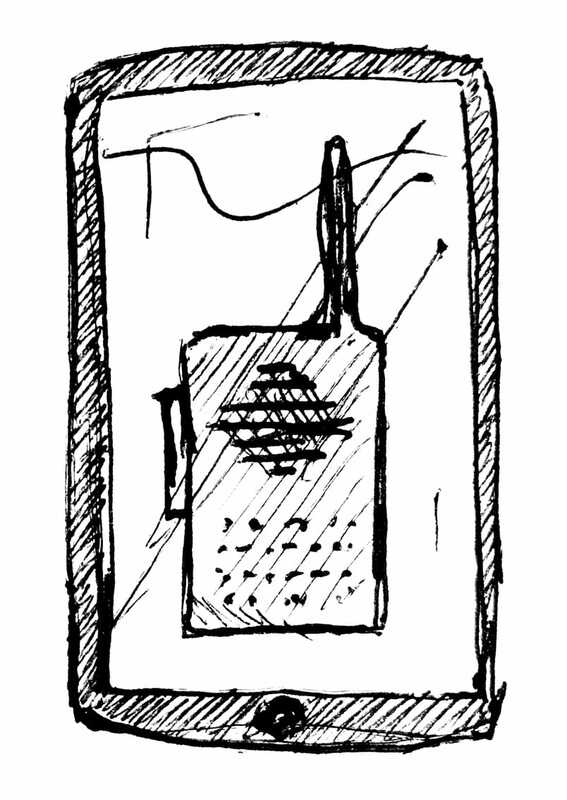 Companies who had begun to use the greater app soon adopted the walkie-talkie feature. We continued to fix bugs and make minor improvements as it lived in the wild, but so far the feature has stayed largely the same, meeting the needs of the medics and dispatchers in the field. 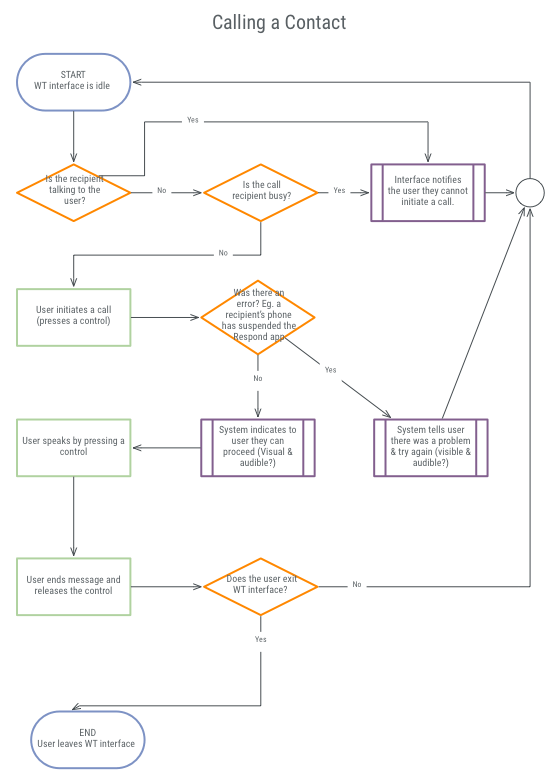 This flow is an example of a single process I mapped out to bring clarity to the walkie-talkie feature. This UI shows the paramedic (iPhone) talking to the dispatcher (iPad) who is listening.